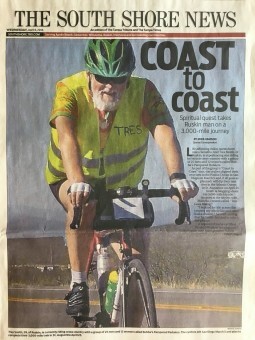 My husband, Tres Smith, is riding his bicycle across America. Coast to coast. On March 5, he dipped his rear tire in the Pacific Ocean at San Diego, and on April 25, if all goes well, he’ll dip his front tire in the Atlantic Ocean at St. Augustine. In between, he is riding 60 – 90 miles a day for 3,000 miles, from sea to shining sea. He is blogging the adventure using only a cell phone at TresSmith.com. You can follow along, subscribe to new posts by email, and post an encouraging word on his blog. 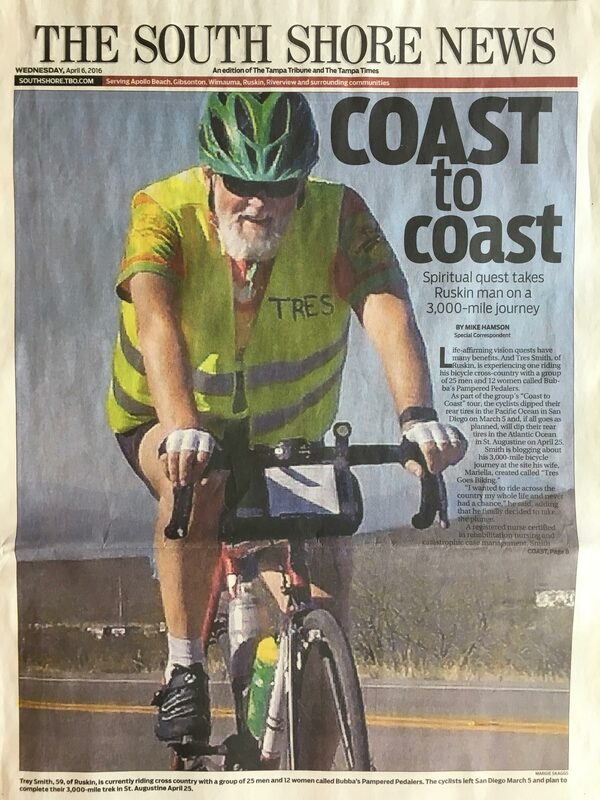 The Tampa Tribune wrote a feature story about Tres’s “life-affirming vision quest” with a HUGE cover photo on the front page of the South Shore News section. Bay area athlete is off to China!